Free PDF Writer -- Do You Need One? Need A Free PDF Writer? I'm seeing a lot of questions about where to find a good free pdf writer. Being a Mac girl, I just thought everyone was nuts. All I have to do is hit the print command and then the "Save as PDF" button. Presto -- I've got a pdf file. Slowly the light dawned that most of you own PCs and don't have this magical little facility -- among many others -- and you have to buy extras or find features like a free pdf writer. So, here is a short list of free pdf writers and my take on the pros and cons of free pdf writers in general. Of course all of these work with Windows because Mac users don't need them. If you use Vista, make sure the free pdf writer you choose is compatible. I'm writing about pdf995 first because I know many people who have used it. They are universally happy with it. It doesn't do everything a paid version does, but it does give good results. 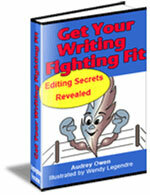 Many even manage to write successful ebooks with it. The CutePDF Writer sales page says it works with Windows, including Vista. It does require another free download. It needs a PS2PF converter and recommends a free one called Ghostscript. I have not used this and do not know anyone who has. If you have used CutePDF Writer, I'd love to hear about your experience. I have no personal experience with Primo PDF and don't know anyone who has. It works with Windows, including Vista. From the sales page I note that more is involved in creating the pdf file than the simple push of a button. Oops, nothing to say. It's already installed and works with the click of a printer button. The advantage is the price. You have a stripped down version that will work for many simple tasks, up to and including an ebook. Here are the things I love about the Adobe PDF Writer I used to produce my own ebook. When I wanted to create my own e-book, I knew that I wanted to be able to add all the bells and whistles. Hyperlinking was a breeze. I could have included multi-media had I wanted to. One benefit I hadn't even thought of was the ease with which I could replace a page. That mattered a lot when I had the fully functional version of my book done and discovered a typo. Without the ability to replace a single page, I would have had to have created a whole new pdf file and worked out all the links again. My book has an extensive clickable list of confusing words and recreating all the links would have taken time I'd rather spend on other things. Ultimately, the choice of whether to use a free pdf writer will depend on the job you have to do, and the budget you have to work with. Since I've created my own ebook, I realized that others may not want to spend the time to include all the functionality that gives a book that little extra value. I am now offering an additional service -- formatting your ebook, using the best pdf writer available and my own experience. All you need is your .doc file. I'll take it from there. Just ask.